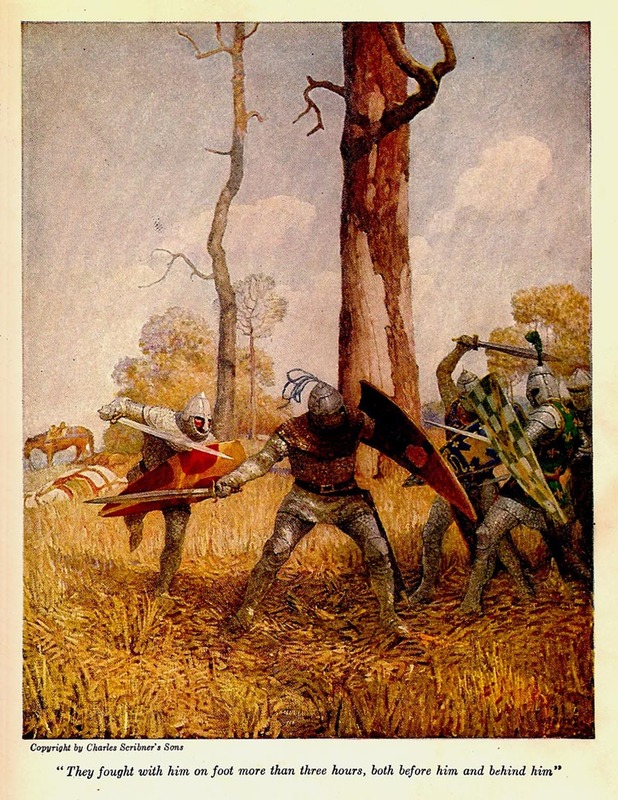 I won't comment on all the following illustrations except to say Wyeth never let the reader down. Each is a marvel of composition, draftsmanship and drama... and each offers the readers renewed interest and a glimpse of the times and mood of the story. The next to last image was a page loved and quoted by my friend Ken Alexander. 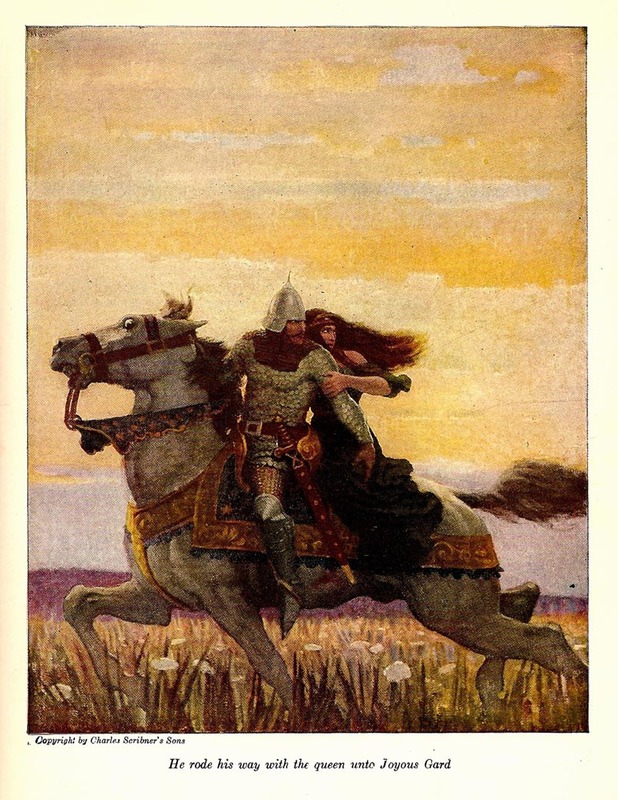 'He rode his way with the queen unto Joyous Gard'... Poetic, and dramatized so beautifully. By the way, all of Wyeth's horse subjects add hugely to the drama of the event. Can't think of another illustrator who came even close in that regard. 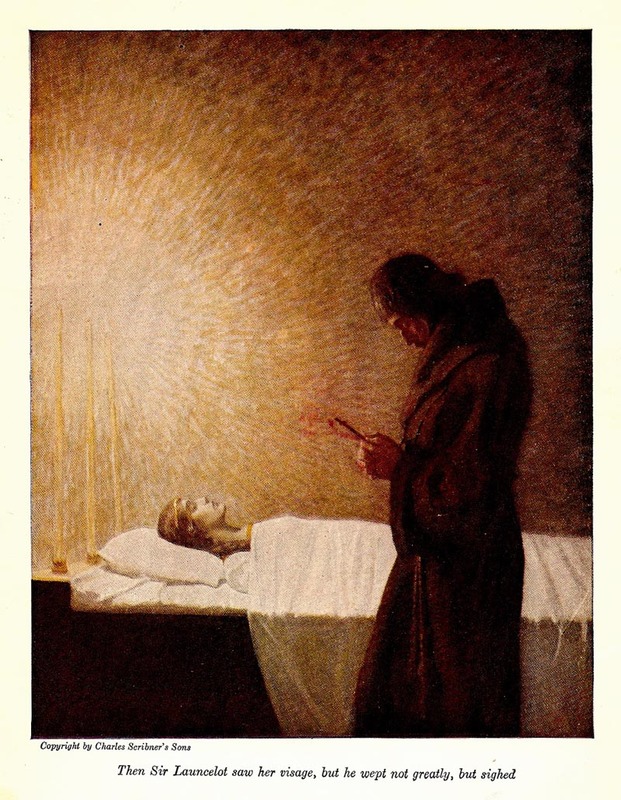 Last, the final illustration the death scene. Just an amazing group of illustrations... so old... and yet so new to today's viewers and readers! N.C. Wyeth was a true giant in our illustrative history. 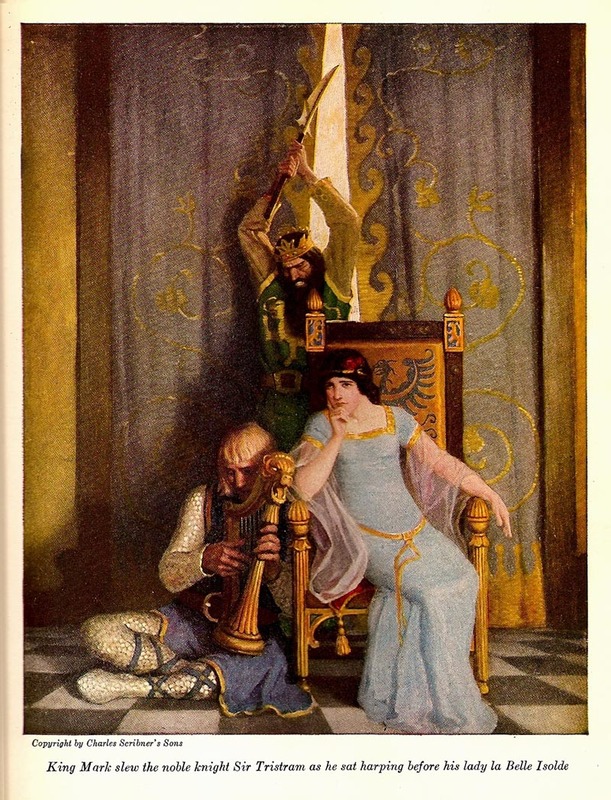 * Tomorrow, Charlie shares some scans from NC Wyeth's "Treasure Island". Charlie, by chance you have included one of the few paintings by Wyeth that hits an "off" note for me. It's the picture of the dwarf. Wyeth did 4 or 5 paintings I know of where he included a very cartoonish figure that seems inconsistent with the rest of the picture, and frankly-- not very good. The man was such a genius I keep looking for a reason why the mistake is mine-- there must be something I am overlooking. He couldn't possibly have improvised a childish looking character because he had no model and was on a short deadline, could he? Thanks,Charlie,for scanning these pages.I haven't seen a lot of these images before.I'm sure Frazetta was influenced by Wyeth.They both had a flair for action. 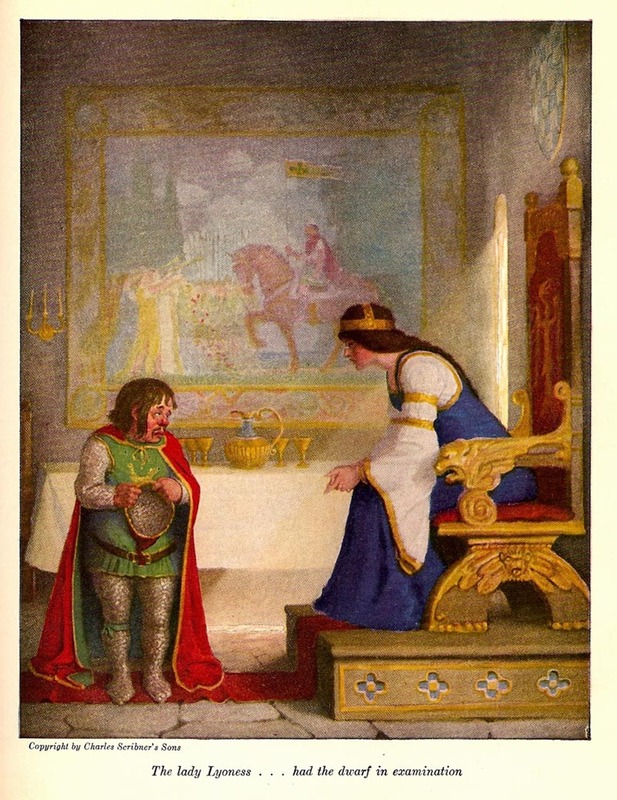 very nice, NC Wyeth is my hero. Two weeks ago I found a first edition of this book at a garage sale. I really regret not buying it. DAVID.....Thanks for the comment. You always seem to get to the point and to strange inconsistencies. Totally agree. That figure is odd, weird, inconsistent with his other characters, and even with the odd characters he depicted in his 'Treasure Island' series. We can only wonder! Fantastic post, Charlie. Great images. 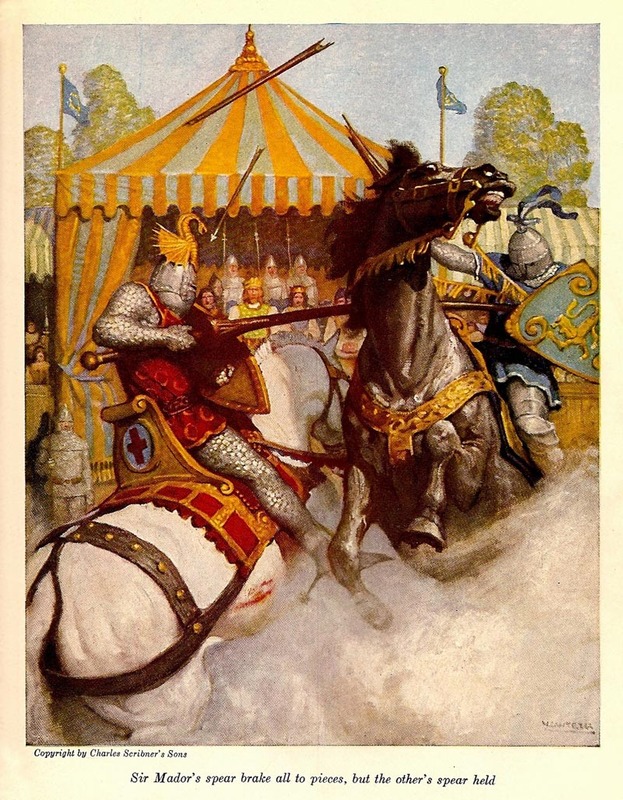 In regards to another illustrator whose "horse subjects add hugely to the drama of the event", the only one I can think of in his league is Frederic Remmington.